Palm Springs, CALIF. – A POWER offense averaging more than 11 runs per contest adds three players straight from NCAA Tournament teams into the mix this week. Drew Frederic (Sophmore) and Manning Early (Freshman), infielders from Troy University, and Ben Nisle (Freshman), an outfielder out of Purdue University, will join a team already full of talent at all positions. Both of the respective colleges finished 1-2 in the NCAA regionals last weekend. Ben Nisle made his first POWER appearance Sunday night starting in left field, going 1-4 with two walks and a couple of runs scored. For Pudue in the post-season, Nisle went on a tear finishing 7-11 at the plate, including a 4-5 effort with a double and two RBI in a win against North Carolina A&T. Drew Frederic and Manning Early were both steady performers for Troy throughout the season and in the post-season. Frederic posted a 2-5 day with a double and a home run in a losing effort against Georgia in their second game of the tournmanet. Early delivered two hits and scored a pair of runs in his first college post-season game where Troy was victorious over Duke. 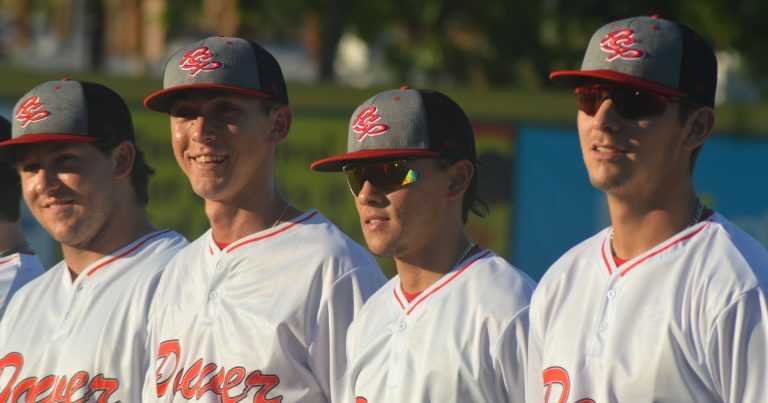 You can catch all three of them in action this week at Palm Springs Stadium, with games Tuesday (6/12), Wednesday (6/13), and all weekend long (6/15-17) starting at 7:05 PM. Gates open at 6 PM.